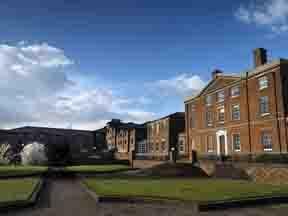 Choose from 33 hotels and guest houses in Staffordshire. Shown below a just a selection of the hotels available. To search within an area please use the menu on the right. North of Birmingham and just off the M6 Toll at the Roadchef motorway services, this Premier Inn is a perfect stopover. 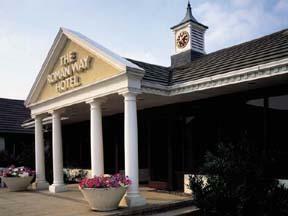 The hotel is between T6/7 of the M6 Toll and has free parking. The Roadchef restaurant and Costa coffee outlet can get you ready for your onward journey. Premier Inn Birmingham M6 Toll is near Chasewater Country Park, which has a wildlife reserve, lakes and leisure activities. There is a licensed bar within 15 minutes' walk. Some rooms at Premier Inn can take 2 adults and up to 2 children (under 16 years). The 2 children also get a free full breakfast when accompanied by an adult eating a full breakfast. The all-you-can-eat breakfast includes expected cooked items including vegetarian sausages. There is also a wide continental selection. This hotel is the perfect choice for visits to the Potteries, Alton Towers, Drayton Manor, Waterworld, Staffordshire County Showground and more. Express by Holiday Inn Stoke-on-Trent is ideally located for a visit to the area's newest attraction, Trentham Awakes, featuring a retail village, the UK's largest indoor and outdoor garden centre and the newly opened Monkey Forest. You can expect friendly service, modern decor and value-for-money. Conveniently situated, Premier Inn Stafford North (Hurricane) is a short drive from Stafford Train Station and is close to Stafford Castle and The Guildhall Shopping Centre. Some of the comfortable rooms at Premier Inn can accommodate 2 adults and 2 children (under 16 years). The 2 children are also served a free full breakfast, when accompanied by an adult eating a full breakfast. The full all-you-can-eat breakfast includes cooked items, vegetarian options and a wide continental selection. Premier Inn Stafford North (Hurricane) is next to The Shire Horse Chef & Brewer, serving a traditional menu in a cosy environment. There is free on-site parking and a 24-hour reception at this Premier Inn. Originally an 18th century coaching inn, The Crown is situated in the centre of the canal town of Stone, with easy access from M6 junctions 14 and 15. 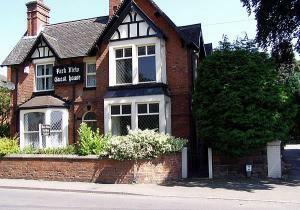 The hotel has 28 individually furnished rooms, all offering a tea tray and satellite TV. H's lounge bar offers casual dining while the oak-panelled Holland's Restaurant has a full ? la carte menu. Private dining is available in the Oak Room. There is also the lively Jervis bar with its full-screen TV. Conveniently located, Holiday Inn Express in Lichfield is only 1 mile from the city centre, with easy access to the M6 Toll, M1 motorway and Lichfield Train Station. All of the comfortably furnished rooms have en suite facilities, including a power shower. Room facilities include satellite TV. 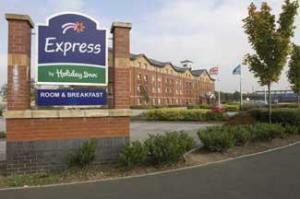 Express by Holiday Inn Lichfield provides an ideal base from which to explore the surrounding area, including Drayton Manor Theme Park, Lichfield Cathedral, traditional shops and ancient Roman sites. Guests may relax in the residents' bar with a drink, complete with satellite TV. Free parking is available for guests and a complimentary continental breakfast is available. In a peaceful, rural location, this country house was originally built in 1845. Today, the house has been converted into a luxurious privately owned hotel with many beautiful original features. The Upper House is a former Wedgwood residence, built for Josiah Wedgwood's grandson, Francis Wedgwood. The house still retains its original charm, with extensive period decoration and traditional character. There are 24 en suite rooms, all with TVs, telephones, tea/coffee making facilities and hairdryers. Some of the rooms have balconies and although there is no smoking in the house, smoking is permitted on the balconies. Free Wi-Fi wireless internet access is available throughout the hotel. A full English breakfast is included in the price. There are 2 comfortable lounges and in the chillier winter months, guests can relax by the real log fire. There is also a patio area and a conservatory at the rear of the hotel, both overlooking the beautiful gardens. A lift serves all floors. The Upper House has a quiet, restful location, but is just a few miles south of Stoke-on-Trent, within easy reach of the A50, the M6 motorway and the region's major road network. Free on-site parking is available for guests. This exclusive, privately owned, boutique-style hotel is housed in a beautiful Victorian building, which has now been lovingly restored and sympathetically renovated in keeping with the Victorian period feel. The Alexandra Court Hotel has 15 en suite rooms, including single, double, family and twin rooms, as well as deluxe double rooms. All of the rooms have TVs, tea/coffee making facilities and luxurious toiletries and bathroom products. Free wireless broadband internet access is available throughout the hotel. Near the town of Congleton, the hotel has a quiet, peaceful location but is conveniently within easy reach of the M6 motorway. Limited free parking is available for guests. The hotel boasts a superb ? la carte restaurant on site, which is open every day and every evening to guests and visitors. The restaurant, like the hotel, has a growing reputation in the local area. Alexandra Court has been voted Hotel of the Year for its area by the local business enterprise. About 1 mile (1.6 km) from Nantwich and 5 miles (8 km) from Crewe, this hotel is a comfy base with an on-site restaurant offering good-value meals. 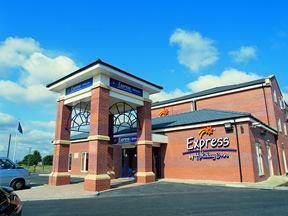 Premier Inn Crewe Nantwich is a few miles from the M6 and offers free parking. Some rooms at Premier Inn can take 2 adults and up to 2 children (under 16 years). The 2 children also get a free full breakfast when accompanied by an adult eating a full breakfast. The full all-you-can-eat breakfast has the expected cooked items, including vegetarian sausages, as well as a wide continental selection. In the town centre of Burton upon Trent, in the heart of the Midlands, this hotel and restaurant is a historic Grade II listed building, dressed in Arthurian d?cor. The Grail Court Hotel has a great location in Burton upon Trent's town centre. The hotel offers a range of accommodation to suit the needs and budget of any traveller. Some rooms have en suite bathrooms and rooms without en suite bathrooms are also available. The very spacious, centrally heated hotel rooms each have a colour TV and tea/coffee making facilities. En suite rooms are available at very competitive prices. The hotel's fully licensed restaurant specialises in English and authentic Mexican cuisine, and there is also a bar. A generous full English breakfast is included in the price and ample free car parking is available for guests' use. 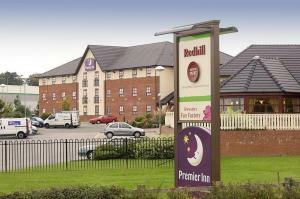 On the edge of Uttoxeter this Premier Inn has easy access to the A50, and the M6 and M1. The hotel is ideal for Uttoxeter Racecourse, Alton Towers and JCB headquarters. Premier Inn Uttoxeter has everything you'd expect: comfy beds in every room, free parking and an on-site Table Table restaurant. Some rooms at Premier Inn can take 2 adults and up to 2 children (under 16 years). The 2 children also get a free full breakfast when accompanied by an adult eating a full breakfast. The full all-you-can-eat breakfast has the expected cooked items, including vegetarian sausages, as well as a wide continental selection. With free parking and family-friendly rooms, this Premier Inn hotel is within easy driving distance of the M6, Stoke-on-Trent and Newcastle-under-Lyme. The Premier Inn Newcastle-under-Lyme has an on-site Taybarns Restaurant, with a huge choice of fixed-price food from a massive 34-metre food counter. Some rooms can take 2 adults and up to 2 children (under 16 years). The 2 children also get a free full breakfast when accompanied by an adult eating a full breakfast. The full all-you-can-eat breakfast has the expected cooked items, including vegetarian sausages, as well as a wide continental selection. An ideal venue for accommodation, conferences, functions and weddings, this hotel is located on the edge of Cannock Chase and is surrounded by beautiful countryside. Only a mile from junction 12 of the M6 and the M6 toll, the independent hotel offers spotless rooms, excellent service and tasty cuisine. The simple aim of the Oak Farm Hotel is to make guests come back again and again. In the centre of Uttoxeter, this beautiful Georgian building was once the town's first bank and now offers free parking, a bar, a restaurant and 17 individually decorated en suite rooms. Originally built in 1777 for Thomas Hart, the Bank House Hotel has a great location, right in the heart of Uttoxeter's town centre. All that this charming Staffordshire market town has to offer is nearby and Uttoxeter Racecourse is within walking distance. Alton Towers is just a short drive away. The original bank vault has been retained as a feature in the restaurant and the hotel's unsupported oak staircase is one of the finest of its kind. With a relaxing atmosphere, the restaurant serves an ? la carte menu in elegant surroundings, with a selection of fine wines to accompany your meal. Free private parking is available on site. Just a mile (1.6 km) from junction T7/T8 of the M6 Toll motorway and only 2 miles (3.2 km) from junctions 11 and 12 of the M6, the hotel offers comfortable, great-value rooms and free parking. The Premier Inn Cannock South has a convenient location, with easy access to all of the area's major roads. The hotel has a 24-hour reception desk and some rooms can take 2 adults and up to 2 children (under 16 years). The 2 children also get a free full breakfast when accompanied by an adult eating a full breakfast. An all-you-can-eat breakfast buffet is available each morning and includes the expected cooked items such as scrambled, fried, poached or boiled eggs, and pork or vegetarian sausages. There is also a wide continental selection. The on-site Beefeater restaurant serves freshly cooked char-grilled food.